Camberwell Space presents 'Deceiving Grandeur', a solo exhibition of new work by the 2014 winner of the Vanguard Prize, Alexander Devereux, at Camberwell Space Projects. 'Deceiving Grandeur' will be accompanied by a group show, 'Walking Through Fiction', curated by Alexander Devereux. Both exhibitions will run concurrently at Camberwell Space Projects, located in the Ground and First Floor Gallery spaces at Wilson Road, Camberwell College of Arts. The Vanguard Prize, launched in 2010, is open to current graduates and recent alumni of Camberwell College of Arts. The winner is offered a year’s free studio residence at Vanguard Court, along with ongoing mentoring and support from Camberwell College of Arts to help them develop their work and career. 'Deceiving Grandeur' marks the completion of Devereux’s year-long residency at Vanguard Court Studios. Devereux graduated from Camberwell College of Arts in 2014 with a BA in Sculpture and is currently living and working in London. 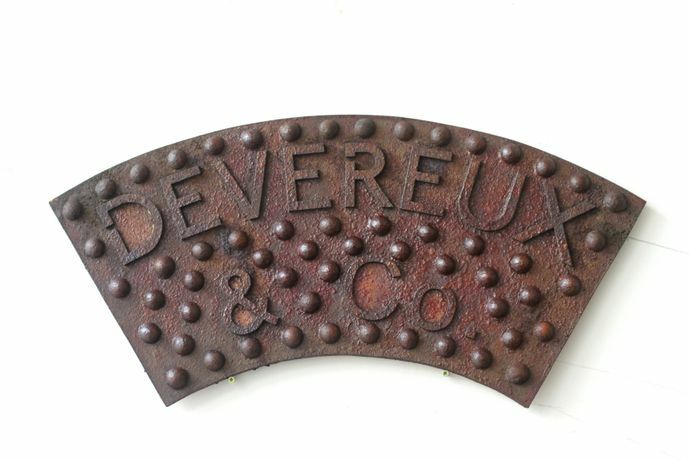 The intriguing building methods of the industrial age inspire Devereux to make large scale architectural installations and sculptures. Using the forms of bridges, railway stations and old factories, his installations mimic an industrial style and aesthetic. Devereux’s sculptures, whilst appearing to be functional architectural features made from cast iron, are in fact made from lightweight wood, thus questioning the idea that form follows function, and transforming them into sculptural objects. The theatricality of these fake architectural pieces imply the once labour-intensive methods of making these structures, preserving their visually impressive, grandeur and ornate over-engineered qualities.